Save the date for this breakfast event, featuring guest compere: TV Broadcaster, Steph McGovern and other guest speakers. 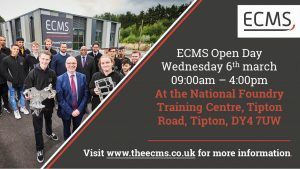 The ECMS will be holding a Drop in Recruitment Open Day on Wednesday 6th March between 9.00 am and 4.00 pm at our New National Foundry Training Centre, to showcase the apprenticeship vacancies on offer young people. 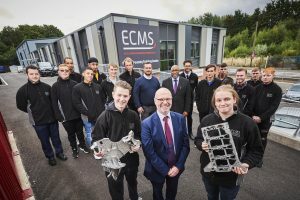 How the training landscape has changed for manufacturing and cast metal industry? Copyright © The ECMS 2018 - All rights reserved.